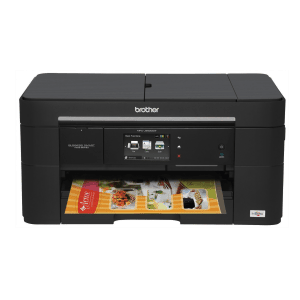 The Brother MFC-J5720DW is part of the BusinessSmartTM series. 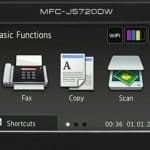 An inkjet printer, which is also a scanner and copier, Brother MFC-J5720DW is ideal for small businesses and home offices. Its superior quality printing coupled with stunning speed makes it a great option as an effective printer. The Brother MFC-J5720DW is definitely bang for the buck especially for small businesses, home offices and personal use. Though a bit on the bulky side, the fact that you don’t have to add on a scanner and copier compensates for that. 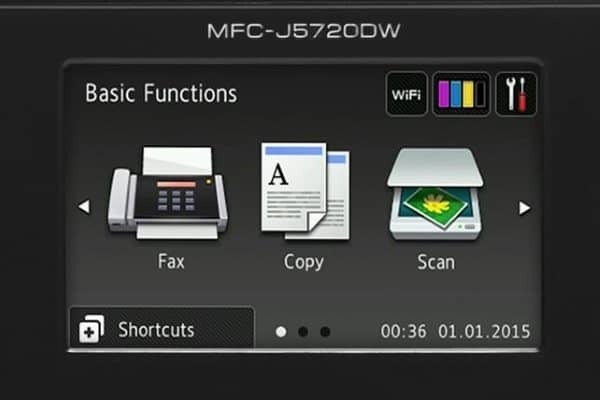 You can even say that the Brother MFC-J5720DW is cost-effective if you look at the long term impact of cost per print with its high yield cartridges. These cartridges are also available at great prices. Finally the interactive touch screen operations and ease of use make the Brother MFC-J5720DW a great buy.